Welcome to our website. This website with URL address www.theoldbarrelhouse.com.au is owned and operated by Specialty Liquor Group Pty Ltd trading as The Old Barrelhouse ACN 616420547. The terms ‘The Old Barrelhouse’ or ‘us’ or ‘our’ or ‘we’ refer to The Old Barrelhouse, the owner of the website, whose registered office is in New South Wales. The term ‘you’ or ‘your’ refers to the website user. These are the terms and conditions you need to be aware of when using this website. Should you not agree with any of these terms and conditions, please do not use our website. 1.1. When you visit this website and use our services or purchase our products, you agree that you have read these terms and all related documents and that you are willing to be bound them. 1.2. The content of this website is for your general information and use only. It is subject to change without prior notice. 2.1. Any persons using this website for any purpose whatsoever must be at least 18 years of age. 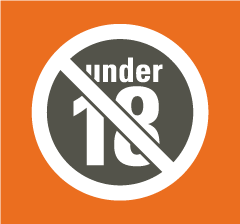 It is illegal to purchase items from this website if you under the age of 18 years. 3.1. We may update our terms and conditions from time to time and the new provisions will apply from the date they are updated. 4.1. While every care is taken, The Old Barrelhouse does not provide any warranty or guarantee as to the performance, accuracy, timeliness, completeness or suitability of the information and materials found or offered on this website for any particular purpose. 4.2. The information available through this website site is provided for information and business interest purposes only. 4.3. You are solely responsible for any results you obtain as a result of using the information on this website. 4.4. You acknowledge and agree that no information or advice provided by us including that contained in information and descriptions of Whisky and Bourbon bottles, including distillery information/history, articles about liquor, blog posts, or any other information on this website any way constitutes health or financial advice or advice of any other regulated industry or creates a warranty of any kind with respect to this website. 4.5. This disclaimer applies to the fullest extent permitted by law, and survives any termination or expiration of this agreement or your use of this website or the services found on this website. 5.1. The Old Barrelhouse owns the intellectual property rights in all of the content of this website, or has permission to use or display the material on this website. 5.2. You may not use, copy, display, distribute, modify, translate, reformat, incorporate into advertisements and other works, promote, create derivative works, or in any way exploit or allow others to exploit any of our website content in whole or in part except as expressly authorised by us. 5.3. Please email contact@theoldbarrelhouse.com.au if you require permission to reproduce any of the contents of this website. 5.4. Images and item descriptions posted on this website by third parties are the responsibility of those third parties and may be subject to copyright. 5.5. You must seek permission from the third party before using any of their content. The names of actual companies and products mentioned on this website may be the trademarks of their respective owners. 6.1. You may access, download, or print material from the website for your personal use only. 6.2. Sharing any intellectual property or copyright material from this website for commercial use of any sort, without permission is expressly prohibited. 6.3. You agree not to change or delete any copyright or proprietary notice from materials downloaded from this website or any site accessible through this website. 6.4. Except as otherwise expressly granted to you in writing, we do not grant you any other express or implied right or license to our website content or our intellectual property. 7.1. As a condition of your use of this website, you warrant that you will not use this website for any purpose that is unlawful or prohibited by these terms and conditions. 7.2. You may not use this website in any manner which could damage, disable, overburden, or impair this website or interfere with any other person’s use and enjoyment of this website. 7.3. You agree not to hack into areas of this website that are not intentionally made available to you. g. use data collected from the website to contact individuals, companies or other persons or entities for marketing purposes. 7.5. You must ensure that all the information you supply to us through our website, or in relation to our website, is true, accurate, current, complete and not misleading. 7.6. We reserve the right to restrict access to areas of our website, or indeed our whole website, at our discretion; you must not circumvent or bypass, or attempt to circumvent or bypass, any access restriction measures on our website. 7.7. Unauthorised use of this website may be a criminal offence and/or give rise to a claim for damages. 8.1. If you believe that there is material on our website that infringes third party intellectual property rights, please email contact@theoldbarrelhouse.com.au with sufficient information to enable us to determine who the owner of the intellectual property is and to remove it from The Old Barrelhouse website if appropriate. 11.1. The Old Barrelhouse also uses interfaces with social media sites such as Facebook, Instagram, Twitter and others. 11.3. If you are a member of a social media site, the interfaces may allow the social media site to connect your visits to this site with other personal information. 11.4. By using this website, you recognise that The Old Barrelhouse is not responsible for any information and material on this website that is linked to a third-party site. 12.1. This website may also, on occasion, include links to other websites that are not controlled by us. 12.2. These links are provided for your convenience to provide you with further information. You acknowledge that they are used at your own risk. 12.3. Third-party links on our website do not signify that we recommend or endorse the websites. 12.4. We have no control over the nature, content and availability of those websites. 13.1. The Old Barrelhouse makes every effort to maintain the security of The Old Barrelhouse website including but not limited to encryption, firewall, antivirus, and spyware protection to the extent that we deem advisable to protect your personal information, the integrity of the website and conduct our business. However, we do not guarantee the security of the website, our records, or your content. 13.2. The Old Barrelhouse disclaims all liability for any computer virus or technological problems that we do not intentionally cause or that is beyond our control. You are advised to install and maintain up-to-date security software on your computer for your further protection. 13.3. The Old Barrelhouse website is managed by third party services therefore the website may be inaccessible from time to time. 14.1. The Old Barrelhouse will not be liable to you or any other person or entity for any damages whatsoever arising as a result of your use of this website in any way, subject to the requirements of Australian Consumer Law. 14.2. Where warranties are implied by law, you acknowledge and agree that the total aggregate liability to us is limited at our discretion to the provision of those services again, or to a refund equal to the total amount paid by you for the particular services that are the subject of the cause of action, even if those services were provided to you without cost. 14.3. This limitation of liability applies to the fullest extent permitted by law, and shall survive any termination or expiration of this agreement or your use of this website or the services found on this website. 16.1. This agreement is governed by the laws of New South Wales, Australia and you consent to the exclusive jurisdiction and venue of courts in that State or the Federal Courts within Australia, in all disputes arising out of or relating to the use of this website. 16.3. The Old Barrelhouse may provide notice to you via email or other electronic means. 17.1. You agree that no joint venture, partnership, employment, or agency relationship exists between you and The Old Barrelhouse as a result of this Agreement or use of this website. 18.1. If any part of these terms and conditions is determined to be invalid or unenforceable pursuant to applicable law including, but not limited to, the warranty disclaimers and liability limitations, then the invalid or unenforceable provision will be deemed superseded by a valid, enforceable provision that most closely matches the intent of the original provision and the remainder of the terms and conditions will continue in effect. 19.1. If you have any questions, please contact us to contact page. We endeavour to respond to all inquiries within three business days.